These dark chocolate pistoles are perfect for baking your favorite recipes or for simply snacking on. These discs are 64% cacao and are a proprietary blend that uses only the finest Belgian chocolate. 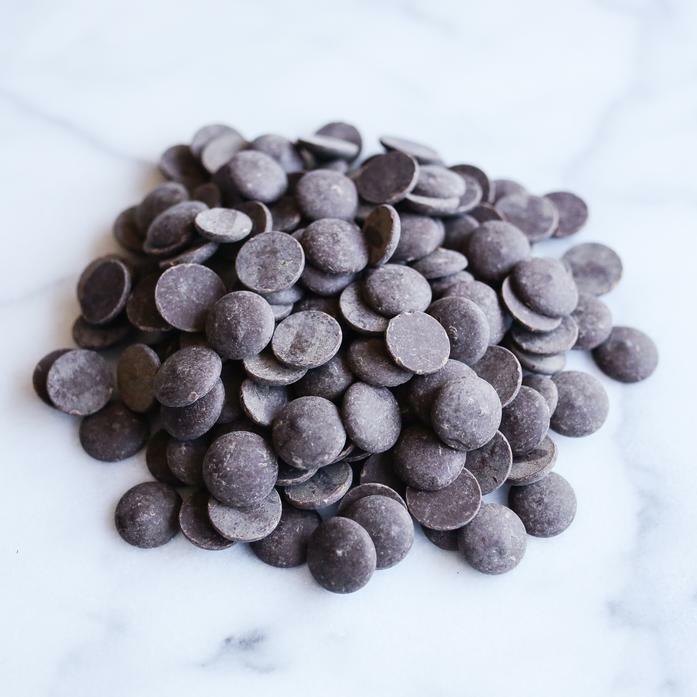 This chocolate is handcrafted on the North Fork of Long Island by Chef Steven Amaral. North Fork Chocolate is keenly focused on sourcing and using products from other local, Long Island artisans.